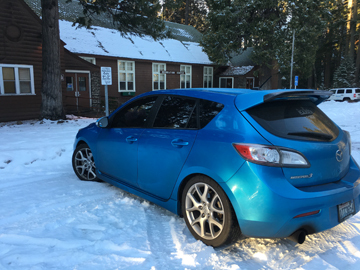 Mazdaspeed Forums User Reviews These are reviews done by our community members. anyway you may notice that this is the EXACT copy of the twm shifter. to the T, infact the manual is the EXACT same as the twm guide minus the pictures. The quality of the ss is top notce. everything installed smoothly absoulty no complaints. now i offered him $100 and he immediatly accepted. which means he wouldve went lower. if you are interested try low balling him at 50 and see where you go. the only downfall is the install time which is a bit longer than the plate, and involves the use of a power drill. Haha, it does look pretty funny... You need a shorter shift boot OP! more info?, reviews on the ms3? It looks too low now, how about adding an inch maybe 1 1/2". Can you get one that isn't that low, from this guy? reviving this thread because I tried offering $75 first and that didn't work, tried $85 next that also didn't work. Then I realized he probably set it to not accept anything under $100. so I offered $99 and that still didn't work. ralco | 10% off all Ralco Short shifters, pulleys, clutches, flywheels and more! so with the code you can get it for just under $115. 06 Black Cherry Mica MS6 GT: Speed Perf6rmanc3 built motor, GT3076r EWG, ACT 6 puck Clutch kit, HTP 3.5" full intake, M2 downpipe, XS Power Exhaust Manifold, CP-E austenite 3" exhaust, Whiteline 24mm rear sway bar, Injector RX Cleaned injectors, JBR trilogy motor mounts, JBR EGR Block off plate, Ported and ceramic coated intake manifold, 3 bar MAP, 3 port EBCS, Cobb AP, CX racing piping with Treadstone TR8, CP-E SAFEseals, MD OCC, Step Colder spark plugs, Turbo XS RFL BOV, AT fp internals, CP-E rear diff mount, Turbine Tech Front rear diff mount, DSS 500hp rear drivers side axle, Wilwood 4 Pot Calipers, Team Dynamics 18"x8" Pro Race 1.2s +38, SPC front ball joints, H&R springs, Morimoto clear projector retrofits. I've seen a number of online stores that offer it for like 112-118$, but they either don't ship to Russia at all, or set some funny shipping quotes. Tried to offer that guy 121$ instead of 139 starting price, but it was automatically declined. Who has bought from him recently? What kind of offers does he accept? I bought one from him a couple months ago. He didn't budge much on the price at all. Think I paid 125 or 130. Can't remember. I'm happy with the shifter though. I think that's it. I didn't get a knob with mine though. It's pretty short. Beer cans are fine but bottles are a little irritating. My wrists sit on top of them. Can you snap a photo when you get a chance? Yeah ill get a pic later when I pick my car up. +1 for the MS3 Ralco SS. Only had it on for a couple days but it's a nice piece, especially for $115. I have had mine on the ms3 for over 2 yrs and I have 0 compaints, I even compared it to a buddy of mine's twm. essentially the same damn thing even the welds and "weak points" are addressed in the same way. Does any one know if you could use this with the corksport shifter weight? I have had mine for almost 2 years now and still feels just as good as the day i put it on. Next to come : ?????????? ?